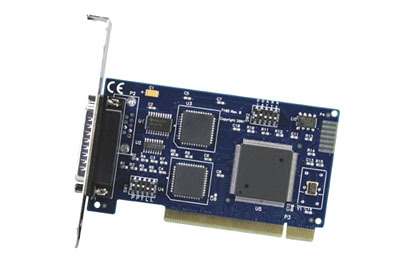 The OMG-ULTRA-485-PCI is a single channel PCI bus serial I/O adaptor. It provides one field selectable RS422/485/530 serial port supporting asynchronous data rates up to 460.8K bps. The OMG-ULTRA-485-PCI utilizes the 16850 UART communications chip which features programmable baud rates, data format, interrupt control and 128 byte FIFO. Choose the RS422 mode for long distance device connections up to 4000 feet where noise immunity and high data integrity are essential. Select RS485 and capture data from multiple peripherals in an RS485 multi-drop network. Up to 31 RS485 devices can be connected to each port to automate your data collection. In RS485 mode, the special auto-enable feature allows the RS485 port to be viewed by the operating system as a COM port. This allows the standard COM driver to be utilized for RS485 communications. The on-board hardware automatically handles the RS485 driver enable. Note: Each unit supplied with complete operator's manual.